The Sri Lanka Freedom Party yesterday asserted that it would not support any move to scrap the civic rights of parliamentarians while criticising the United National Party for colluding with the Joint Opposition to sabotage investigations into crimes and corruption. UPFA General Secretary Minister Mahinda Amaraweera, taking part in yesterday’s special debate on the bond report and the reports of the Presidential Commission of Inquiry to investigate into Serious Acts of Fraud, Corruption and Abuse of Power, State Resources and Privileges (PRECIFAC), affirmed that the SLFP was not prepared to abolish the civic rights of any individual. “We have had a bitter experience in the past when the civic rights of late Prime Minister Sirimavo Bandaranaike were scrapped. Therefore we have no intention of repeating such a move. Wrongdoers can be dealt through the Judiciary,” the Minister said, referring to the recommendations of PRECIFAC stating that Section 80 of the Constitution needed to be amended to include provisions to permanently revoke the civic rights of a politician if he or she was found guilty of serious crimes. The Minister went on to assure the House that former Central Bank Governor Arjun Mahendran would not escape the long arm of the law, no matter what country he fled to. “Arjun Mahendran cannot hide abroad. Udayanga Weeratunga who fled the country to avoid prosecution has now been apprehended in Dubai and we are working on his extradition. In the same way, wherever Mahendran goes to hide we will get him.” Thereafter, the Minister charged that the UNP was colluding with a newly-formed political party, hinting at the Sri Lanka Podujana Peramuna. “We have learnt of a meeting between a prominent UNP MP and member of a newly-formed political party that took place in Borella recently. Similarly, there was another meeting between a UNP MP from Gampaha and this same political party. They are discussing ways to thwart the investigations into fraud and corruption,” the Minister said, adding that already the signs of collusion were appearing as some court proceedings of members of the Joint Opposition were being unduly expedited. “An alliance of thieves had formed to oppose the anti-corruption drive of the Government,” he claimed. 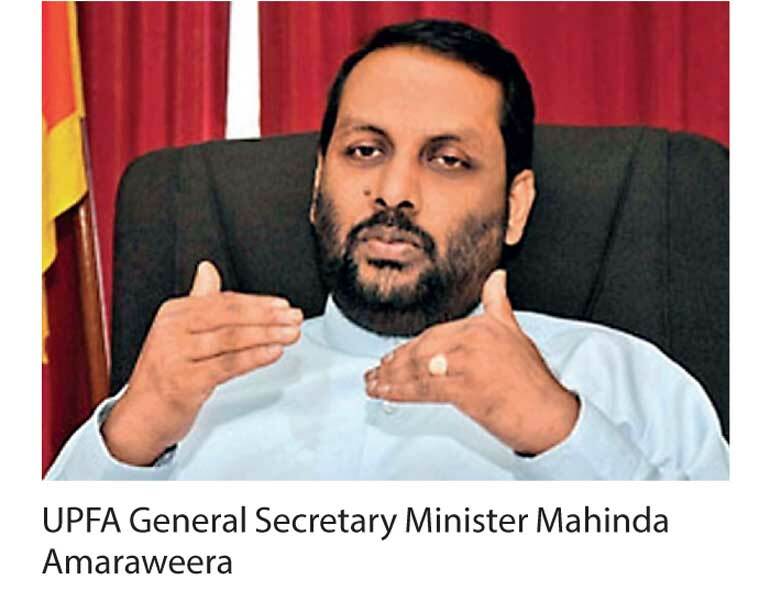 Furthermore, the Minister said the Presidential Commission appointed to probe SriLankan and Mihin Lanka would be impartial in its investigation. He then asserted that the Bond Commission was not set up to isolate and attack any single party. “Many UNPers have claimed that the bond commission was a witch hunt against their party. This is not the case. The Bond Commission was appointed for the benefit of the entire nation so that those involved could be brought to justice,” he said. Meanwhile, SLFP MP Lasantha Alagiyawanna said that it was the responsibility of Parliament to ensure that corruption was eradicated.